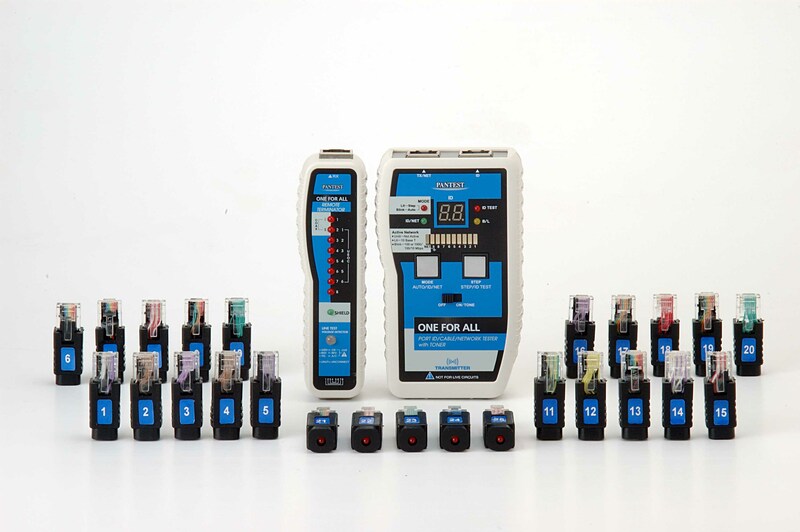 The One For All is an all-in-one network tester, tone generator, cable tester, and port ID finder. It comes with a remote unit, allowing pin-by-pin tests of installed cables in addition to patch cables. The office ID feature allows the user to check the ID number of up to 100 networks or patch panel outlets without labeling the cables manually, and the tone generator traces cable using a tone detectable by any market tone probe. The network tester blinks the network hub or NIC port light for the cable being tested, allowing easy cable and outlet identification; and it identifies network speed (10 Mbps vs. 10/100 Mbps vs. 10/100/1000 Mbps) and activity. Line tester included for detect live circuits and preventing damage to the tester. Combines tone generator, office ID checker, network tester, and pin-by-pin cable tester. 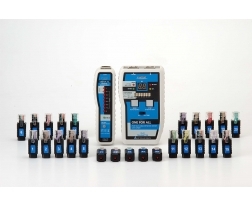 Remote unit for pin-by-pin tests of patch cable or installed cable. Office / port ID checker establishes ID number of up to 100 networks or patch panel outlets without labels. Can give type and speed of both active and inactive network devices. Tone generator tracing cable and pinpointing fault locations easy. Network tester blinks the hub or switch port light for easy port # identification, and displays network activity and speed. Line voltage tester prevents damage to equipment.